As mortgage brokers we have access to a full range of UK mortgages and re-mortgage products including fixed rate, interest only, capped, discount and variable interest rates and buy to let mortgages, from many different lenders across the market. Once we understand your individual circumstances and needs, we will be able to research the mortgage market and recommend the most suitable mortgage deal for you. As part of our service, we will deal with the lender on your behalf, taking the stress out of the process for you. Call us now and see how our friendly service and know-how can help ensure you get the right mortgage. We can help if you are looking to buy a new home, buy a property to let or simply re-mortgage your existing property. If you are a first-time buyer, the prospect of buying your first home can be both daunting and confusing. Guiding you from start to finish so that you understand exactly what the purchase entails, and how much it will cost. A MORTGAGE IS LOAN SECURED AGAINST YOUR HOME OR PROPERTY. YOUR HOME OR PROPERTY MAY BE REPOSSESSED IF YOU DO NOT KEEP UP REPAYMENTS ON YOUR MORTGAGE OR ANY OTHER DEBT SECURED ON IT. THE MORTGAGE ADVISERS YOU CAN TRUST. We can also help ensure you have the right insurance and protection in place to cover you and your home. So, if you are looking for a mortgage or simply to review your Protection needs, please get in touch with us. Our expert team is here to help. 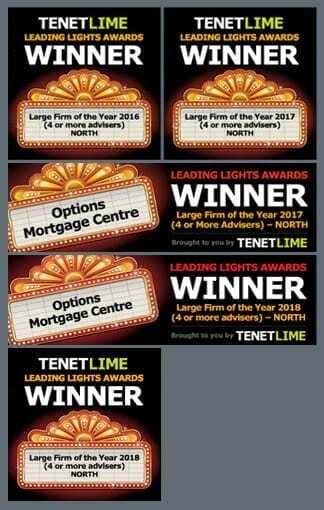 Established in 1996, Options Mortgage Centre was started by one of the 3 current partners, within 2 years of setting up the business, initially advising on investments, pensions and savings. But now specialise in mortgages & insurances only.